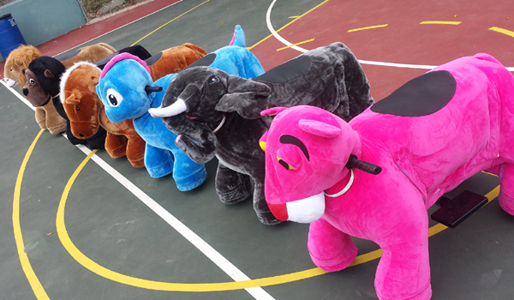 These are plush motorized animal rides in vibrant colors with a decorative necklace and popular sing along tones. Each ride holds up to 300lbs, are big enough for adults and can fit up to 3 kids at one time. Recommended age 3-11.Ride attendant provided.